"Mr. Mankiewicz, this is Eve...the Eve you wrote the movie about. I was the girl who stood outside the theatre..."
Nearly 40 years earlier, in 1950, Mankiewicz had directed and penned the screenplay for the bewitching and bitchy film that came to be his masterpiece: All About Eve, winner of six Academy Awards including Best Picture, Best Director and Best Screenplay.The sophisticated and cautionary tale of a celebrated Broadway actress named Margo Channing and the unscrupulous "fan"' known as Eve Harrington who finesses her way into the great star's life, All About Eve was nominated for 14 Oscars, topping the record held until then by Gone with the Wind. Bette Davis delivered one of her great star turns as Margo and saw her career exhumed. George Sanders was blessed with a plum role, the part of a lifetime, and an Oscar for his performance as theater critic Addison DeWitt. And for then-starlet Marilyn Monroe came the chance to shimmer, if only for a few moments, in her first A-budget "prestige" film. 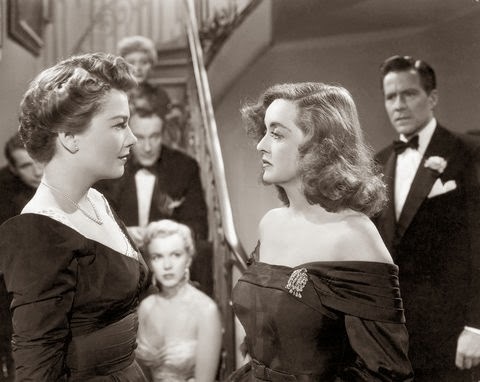 All About Eve's everlasting reputation as a classic among classics rests on Mankiewicz's very smart screenplay and direction, its three larger-than-life central characters (Channing, Harrington and DeWitt) and the solid performances of its ensemble cast members. From the beginning there were whispers that the story of an older, established actress who is duped by a young ambitious one willing to do anything to succeed was taken from real life. Joe Mankiewicz hadn't conceived his screenplay out of thin air, it was based on a story that had appeared in Cosmpolitan (then a literary magazine) in 1946. Titled The Wisdom of Eve, the short story was written by Mary Orr, a young actress herself, who received no screen credit for her original work. Well...the story wasn't quite originally hers. From 1943 to 1944, Orr's future husband, Reginald Denham, had directed The Two Mrs. Carrolls during its Broadway run. The star of the play was Elisabeth Bergner, a much-honored, Oscar-nominated Viennese actress known as "the Garbo of the stage" in Europe. Bergner had made films in Germany but was filming in London when the the Nazis came to power and decided it would be wise to stay in England. There she starred in The Rise of Catherine the Great (1934) with Douglas Fairbanks, Jr., Escape Me Never (1935), for which she received a Best Actress Oscar nomination (a Hollywood remake starring Ida Lupino was released in 1947), As You Like It (1936) with a young Laurence Olivier, and Stolen Life (1939) with Michael Redgrave, (re-made in the U.S. in 1946 as A Stolen Life with Bette Davis). 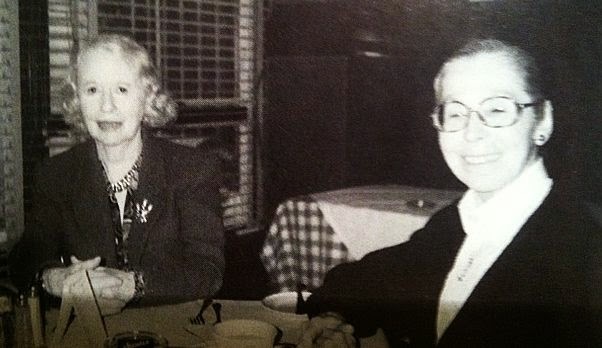 Bergner and her husband, director Paul Czinner, came to the U.S. in 1940. She made Paris Calling for Universal with Randolph Scott and Basil Rathbone in 1942, but it was not a hit and she shifted her focus to stage work. In the summer of 1944, a few months after The Two Mrs. Carrolls closed, Mr. Denham and Miss Orr paid a visit to Elisabeth Bergner and her husband at their rented home in New Hampshire. That evening, when the women were alone in the kitchen - Bergner was whipping up Wienerschnitzel, Orr was observing - the older actress began to talk about something that had occurred during the play's run. 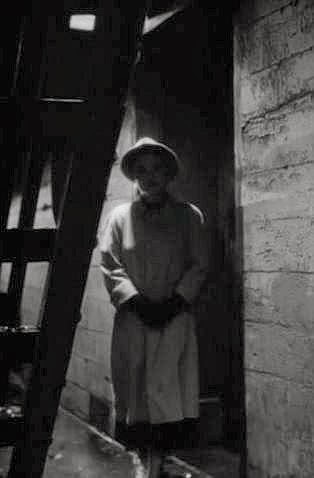 She spoke of a young woman she referred to as "that awful creature," a girl she had first noticed standing in an alleyway next to the theater. The girl had been conspicuous, she remembered, because she wore a red coat and because she was there every night. Bergner told Orr that she eventually invited the girl into her dressing room, touched by her apparent devotion. The girl, whose name was Ruth Hirsch, soon became an assistant to Bergner and secretary to her husband. The couple came to learn that Ruth aspired to be an actress and helped her get permission from Actors' Equity to make her debut on Broadway. The girl seems to have had some talent because she went on to win a John Golden Award, an annual theatrical prize given to young actresses, that same year. What actually took place while Ruth Hirsch was part of the Bergner/Czinner entourage will never be known for certain, but Bergner complained bitterly to Orr that the girl had been deceitful, schemed behind her back and even attempted to seduce her husband. As Mary Orr and Reginald Denham drove back to their hotel after dinner that night she repeated Bergner's story to him and asked if he remembered a girl in a red coat who'd lingered by the stage door during The Two Mrs. Carrolls' run. He did, and he also recalled that the girl came to nearly every performance. The next morning Denham suggested to Orr, who had already done a little writing, that she put Bergner's story on paper. "It's a hell of a story," he said. The Wisdom of Eve was published in the May 1946 issue of Cosmopolitan and in January 1949 a radio play version of Orr's story was performed on NBC's Radio Guild Playhouse. Presently, Hollywood came knocking. A painful but in the end, felicitous thing happened to the leading lady just before filming of All About Eve was about to begin. Bette Davis had a long, very loud argument with her estranged/soon-to-be-ex-husband and the quarrel left her throat raw and bleeding. When she arrived on the set she could only speak in a ragged near-whisper. She was beside herself, but Joe Mankiewicz liked the effect of what he called Bette's "bourbon contralto" and urged her to continue using the voice even after she healed. 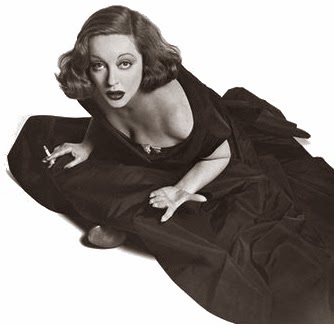 Bette noted that she sounded an awfully lot like Tallulah Bankhead, whose distinctive basso tones were known to be authentically and thoroughly whiskey-soaked. Miss Bankhead, whose stage and film career had already plateaued, happened to have a radio show on NBC at the time the film was released. One night while on the air she was asked if she had seen All About Eve and her dry reply was, "Every morning when I brush my teeth." She was convinced that the mercurial and flamboyant Margo Channing had been based on her. She would make oblique commentary on Bette Davis's characterization of Margo in her autobiography, then in the works, with a sly reference to "busybodies" who believed Bette had patterned her Margo on Tallulah, emulating everything about her including her "bark and bite." In 1952 Tallulah finally had her chance to play Margo. It was a radio adaptation of All About Eve that, interestingly, co-starred Mary Orr as Karen Richards, Celeste Holm's film role. According to Orr, Tallulah approached her after a rehearsal and asked point-blank if she had been the inspiration for Margo Channing. Orr said no, that the character was modeled on Elisabeth Bergner. Tallulah was livid and, outside rehearsals, never spoke to Orr after that. Perhaps Tallulah had believed that it was more than her persona and style that had been the basis for Margo, but the fact that she had once hired a young fan as her personal assistant was simple coincidence. Ruth Hirsch worked for Bergner for only a matter of months, whereas Tallulah's aide was with her for decades and had never been an aspiring actress. Edith Head, who designed Bette's costumes for the film, admitted that she had taken Tallulah as an inspiration from the start. Head later said that she had immersed herself in Tallulah's style when she went to work on Bette's wardrobe so that "everything looked as if it was made for [Tallulah], yet the clothes complimented Bette." On the other hand, when a reporter asked Bette if her "throaty" voice was a parody of Tallulah's, she flatly denied it, adding, "Do you think we want to get sued?" In fact, she admitted to feeling a strong sense of identification herself with the character of Margo Channing. And what about "Eve" - was the frantic woman who'd telephoned Joe Mankiewicz in Venice in 1987 telling the truth? A few years after she made that call, the woman, now known as Martina Lawrence, traveled from her home in Venice to New York. While there, she contacted a journalist at the Daily News who specialized in celebrity profiles and had already done pieces on Celeste Holm and Joe Mankiewicz. Lawrence told him she wanted to tell her side of the story. The writer was interested and in the process of getting to know her, he arranged for a tea at Sardi's - and invited Mary Orr to come along. Orr had not seen the woman she had known years earlier as Ruth Hirsch since 1946, when Hirsch barged, uninvited, into Orr's home. It seems she had just read The Wisdom of Eve in Cosmopolitan and was threatening to sue (that didn't happen and Orr went on to publish another story about Miss Harrington, More About Eve, in Cosmopolitan in 1951). Not surprisingly, the tea at Sardi's was contentious at times, with the two women bickering over what had happened in the long-distant past. Lawrence was in New York again in 1999, this time to see an old friend who had a supporting role in Marlene, a Broadway production starring Sian Phillips as Dietrich. By this time writer Sam Staggs was deep into his everything-you-ever-wanted-to-know book on All About Eve and, not wanting to miss his chance to meet the "real Eve," flew to New York to interview her. The woman he met was now in her 70s, very thin, prickly and assertive. And theatrical. She told him she had been born in Chicago in 1921 and, perhaps because her mother was unstable and abusive, had spent much of her childhood in orphanages. She had picked up her British-sounding accent in childhood, she told him, from watching movies. According to Martina Lawrence, she met Paul Czinner when she went to see The Two Mrs. Carrolls for the first time. She got to know him and began helping him hail cabs for Bergner after her performances. It wasn't long before she began working for the director and his wife. The situation started to unravel when Bergner caught Lawrence reading her part at a rehearsal with a new cast member one afternoon. Then a letter arrived for Lawrence, purportedly from someone who had witnessed the young actress's rehearsal performance and was awed by her talent. Bergner later said that she always thought Lawrence had written it herself. In any case, Lawrence surreptitiously snatched the letter from Bergner's dressing gown and soon found herself barred from the theater. Though Bergner was no longer speaking to her, the younger woman soldiered on and soon entered the competition for the John Golden awards. She won one of four given and this eventually led to a brief Hollywood sojourn. As for her name change, Lawrence told Staggs it was Bergner who had, through an intermediary, recommended that she take a stage name - and suggested "Martina Lawrence." The name was that of one of the two characters Bergner portrayed in Stolen Life. Martina Lawrence insisted that she had never deceived Elisabeth Bergner, that the actress had imagined all of it. There were those who believed her and those who did not. One acquaintance who'd known Lawrence from her early Broadway years reported, with conviction, that the young woman had also made her way into the inner circle of opera legend Renata Tebaldi and "played Eve Harrington to her" for a while. The friend indicated that this incident wasn't widely known because, in the lofty realm of opera, "Divas don't like to admit they've been had." Fascinating from start to finish! 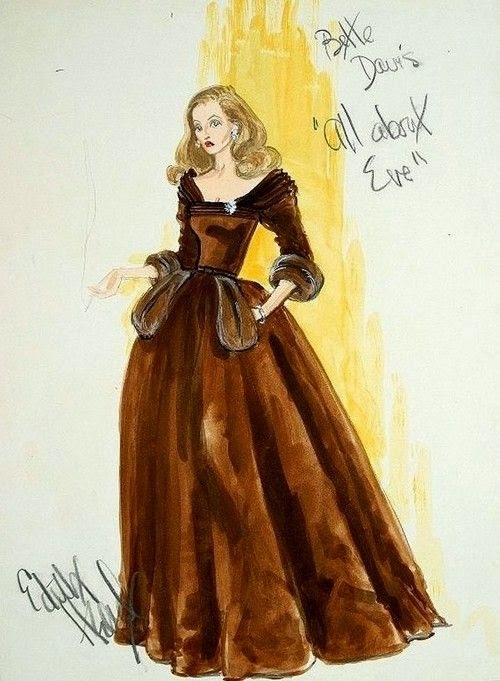 I always thought this was based on Bankhead/Lizbeth Scott, but I guess there are enough "Eves" out there to go around! I look forward to more posts for this series - I smell CMBA award!!! I had read that Elisabeth Bergner was the basis for Margo, but knew nothing at all about the inspiration for Eve before I read the Sam Staggs book, All About All About Eve. That source provided the detail on Martina Lawrence. I recommend the book to those who would like to know the complete back story on the movie. Another fabulous piece and very informative. I've got to pick up Staggs' book! I hope you do have a chance to read All About All About Eve...Staggs left no stone unturned in his research - plus, it's an entertaining read. 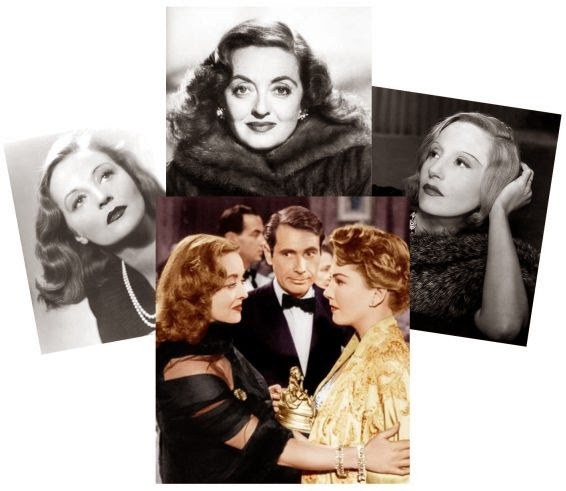 While I knew Tallulah played Margo in a radio program I had no idea how the screenplay ALL ABOUT EVE came about. 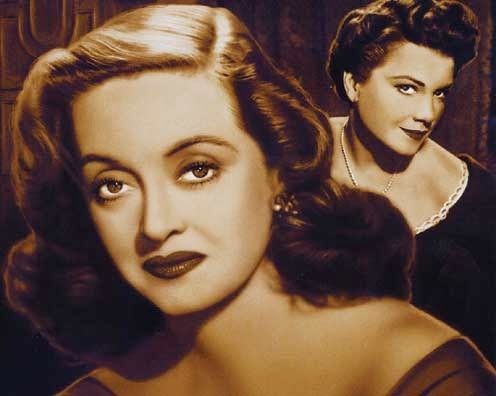 If ALL ABOUT EVE doesn't get chosen for our 50s Blogathon I'll be okay now since you've given us this fun article on it's beginnings. Page, According to the Sam Staggs book (he apparently listened to the radio dramatization), Tallulah wasn't very good as Margo. Would love to hear it sometime. I watched "As You Like It" this past weekend, but certainly didn't expect to run into a Bergner story so soon. Intriguing business. "Divas don't like to admit they've been had." Ain't it the truth? I wonder of the "Eve" angle is still worked nowadays, and how it fares. Hi, CW, You're timing was perfect, wasn't it? I don't know if I've ever seen any of Bergner's films, but am curious about her now, of course. I hate to say it, but my guess is that "Eve angle" lives on. This is a fascinating story you've given us in this well-written post. I had NO idea how the screenplay came about. I always learn things when I visit your blog – you're helping me look like a real movie smarty-pants to family & friends. Hi Ruth, Had I not discovered Sam Staggs' book, this post would've been a lot less fascinating. 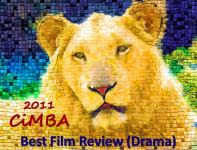 I was thrilled to come upon so much detail on the story behind the film and on the 'real Eve.' Thanks, though, I'm so glad you enjoyed this little trip into the background of All About Eve. Very intriguing, all the more so because I'm unfamiliar with the principals involved in the real-life incident. I would have loved to listen in on that tea at Sardi's. By the way, I love your final quote: "Divas don't like to admit they've been had." I think it goes for guys divas, too. Terrific post, great research and wonderfully written. Truth being stranger than fiction, again. Jacqueline, You are so right about truth being stranger than fiction when it comes to this particular back story. And thanks for your kind words. I had heard this film was based on real people but had no idea of the backstory. I read Stagg's book on Wilder's SUNSET BLVD which was fascinating. Wonderful article Eve!!! I didn't know there was a book by Sam Staggs on Sunset Blvd. John. I'll have to read it. How interesting - both films are two of the best from the same year, with similar (though handled very differently) subject matter - an aging, insecure actress (prima donna?) enchanted, then disenchanted with a young hopeful on the make. He has actually done a few books in the same style. WHEN BLANCHE MET BRANDO: THE STORY OF A STREETCAR NAMED DESIRE (which I read) and BORN TO BE HURT: STORY of IMITATION OF LIFE. (which I have not read). A very fascinating story, Eve. I never knew there was this much background to the film - I also was thinking Tallulah Bankhead. Who really knows what's truth and what's fiction, it's probably a combination of both, and in such a theatrical world reality is probably tenuous at best. Maybe "that awful creature" could have described more than one character. Well written - I love the line " whipping up Wienerschnitzel." MCB, There's a lot more background on the woman who inspired Eve, Ruth Hirsch/Martina Lawrence (she had yet another name, too), than I went into here. She sounded like a real piece of work. But, however she managed it, she ended up owning and living in a flat in Venice and seems always to have been involved with the arts. Bergner was supposed to be quite the prima donna and the idea of her in the kitchen making Wienerschnitzel for dinner guests amused me. I read the Staggs book some time ago, but your fascinating piece shed even more light on the labyrinthine path of references, allusions, and biographical tidbits that went into creating Margo Channing. No wonder the characters of Eve and Margo still fascinate; she seem to be culled from show biz mythology itself. Thanks for a very informative, enjoyable bit of research journalism. As a big fan of the film, I couldn't get enough of all the juicy backstory you unearthed. Hi Ken, Margo is most definitely a show biz archetype - probably dating back to the earliest days of the stage. Eve, too, for that matter - and I imagine there was an Addison DeWitt carving his caustic reviews into stone - or scratching them onto parchment - depending on when the first critics surfaced. read both of staggs' books, they're much fun. i seem to recall hearing some audio of tallulah (possibly from "the big show") and she being asked about "all about eve" and her replying, you mean all about meee! Thank you, Norma! I've yet to read the Staggs book on Sunset Blvd., but soon. Tallulah really made hay of All About Eve - it came at just the right time in her life and career. Incredible story, Eve, and you are the one to tell it! I never knew any of this, and it really enhances my appreciation and understanding of All About Eve. Excellent article!